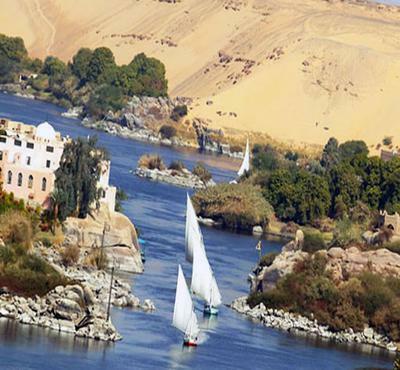 Interesting facts about the river Nile. 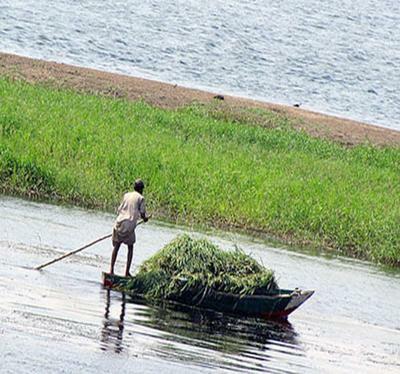 Nile - the real source of life not only for Egypt but also for the whole of the African continent. It is the only river that runs through the whole of the Sahara desert and flows into the Mediterranean sea. The Nile river is the longest in the world, its total length is more than 6700 kilometers. The source of the Nile river located in the great lakes region of Africa, it is thousands of miles of swamps and deserts, slowly twisting in the valley and speeding running on the sill. The route of the great river passes through the territory of several countries, but it is for Egypt, it is of decisive importance. 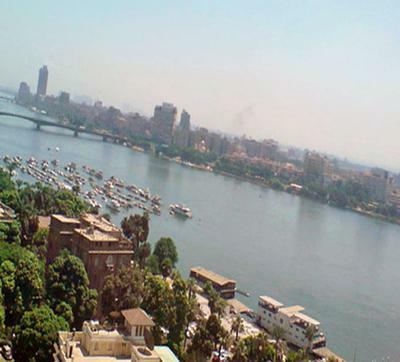 As said the ancient Greek historian Herodotus: «Egypt is the gift of the Nile river. In a valley lives 95% of the population, all agriculture of the country is concentrated in a valley of the river of life, after all except moisture, it gives the silt filling with fertility of the soil. From Sudanese border to the Mediterranean coast, the valley of the great river was stretched on one and a half thousand kilometers, having divided the Arabian and Libyan deserts, it formed "a life strip" along the coast which width fluctuates from one kilometer in the south to 25 km near the city of Cairo. The Nile river upstream of the two forms of the river, bearing the names of the Blue and White Nile. The source of the Blue Nile is located on the Abyssinian plateau (1800 meters above sea level) and originates from lake Tana. From there through a beautiful and majestic waterfall Tissat, it describes an arc in 644 km, passes Ethiopian highlands, descending on the Sudanese plains. In the capital of Sudan, the city of Khartoum, two rivers join together, merging into a great river of life. Delta of the river, located on the territory of Egypt - one of the most fertile places on the planet. During the thousand years of Egyptian civilization, it has not lost a leading value for the economy of the country. The construction of the Aswan high dam in the 1980s prevented the river, but thus posed a threat to the fertility of the soil, since ceased flow of sludge from the upper part. However, the creation of dams and reservoirs allowed to build a new system of irrigation and now in some areas of Egypt, collect the three crops a year. It isn't surprising that on this great river of life, all large cities of Egypt, such, as are located: Aswan, Luxor (the ancient city of Thebes), the largest agglomeration Cairo-Giza, Alexandria. The improbable quantity of outstanding monuments of the Egyptian civilization, attracts all the year round million tourists. The favourite cruise tourist route is a site of Nile from Alexandria to Luxor. Join in and write your own page! It's easy to do. How? Simply click here to return to Facts about Africa.